The Commercial Vehicle Safety Alliance (CVSA) will conduct their annual Brake Safety Week from September 16, 2018 through September 22, 2018 this year. Inspectors will perform roadside inspections on commercial vehicles in order to call attention to faulty brake systems and identify trucks with bad brakes out on the road. Brake systems that function correctly are crucial to overall safety of the driver and the driving public. Studies have shown again and again that improperly installed and poorly maintained brakes cause accidents. 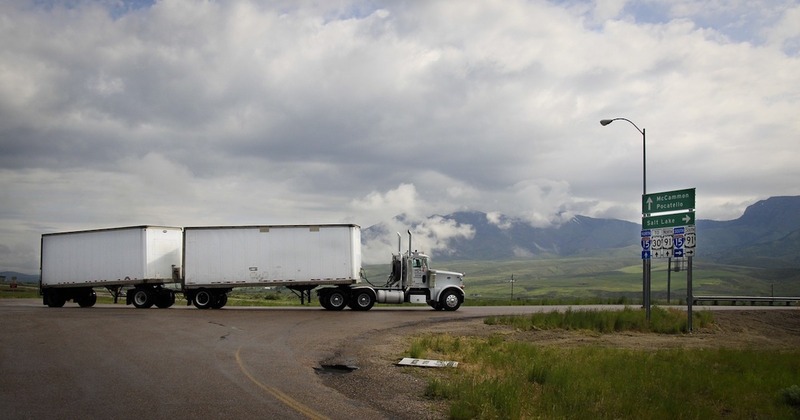 The U.S Department of Transportation’s Federal Motor Carrier Safety Administration’s Large Truck Crash Causation (LTCC) Study shows that nearly 33 percent of large truck accidents have brake problems just before the accident. Because brake safety is so important, it’s already looked at fairly closely by inspectors. Violations related to brake systems are the majority of all out-of-service violations each year. Brakes must be routinely inspected and carefully maintained to avoid violations and to stay safe out on the road. During Brake Safety week, inspectors will perform the 37-step North American Standard Level 1 Inspection in most cases. They will look at all parts of a commercial vehicle, but their focus will be on the brake systems. A commercial vehicle must have a minimum braking efficiency of 43.5 percent. Last year during Brake Safety Week, 1,064 commercial vehicles were placed out-of-service for brake violations. Of the nearly 7,500 commercial vehicles inspected that week, violations were found in 14 percent of them. The Gorilla Safety fleet management system makes it easier to get your trucks scheduled for maintenance and keep track of any potential problems. Your drivers can communicate directly with your maintenance department when they notice a problem, and decisions can be made quicker and easier about coming in for repairs or maintenance. You’ll also have a better record of what’s been done and what hasn’t. Brake Safety Week is a great way to raise awareness of the need for well-maintained brake systems. But don’t let your drivers get pulled off the road during an inspection. The Gorilla Safety system helps you stay in compliance and helps you keep your trucks in better condition overall. Your drivers will sail through the inspection process and be back on the road in no time.